I’m back again with another pilot episode review and this time it’s for “A Discovery of Witches", which is apparently based on book trilogy of the same name. This miniseries is meant to be 8 episodes long and will feature storylines from the book trilogy. The series follows Diana Bishop a witch who isn’t really a witch because she represses her magic and doesn’t use it, Diana discovers a book which puts her at the center of an ancient mystery and she catches the eye of a handsome vampire, but this book also places her in danger as other creatures ranging from demons, vampires and other witches seek the book for their own. The series is lead by Teresa Palmer and Matthew Goode. Alright so I haven’t read Deborah Harkness’ books but the world she has created in “A Discovery of Witches” is absolutely spectacular and it translate so beautifully on screen. The world is just gorgeous and believable that you’d actually think that these creature really do exist because of its realism on screen. The series has created this calm world where we’re slowly dragged into the suspense and mystery of the story even though in this first episode “A Discovery of Witches” can’t help but fall into the genre clichés and slightly suffers from dialogues issues and pacing issues because 1 or two scenes weren’t really needed but it has enough power to keep you entertained and intrigued. I think the creators of the show were really smart in moving away from the grim, dark supernatural feel that most like-minded shows go for, rather “A Discovery Of Witches” settles for a gothic “warmish” and maybe a bit romancish atmosphere which I find refreshing because whew one can only handle “dark tones” to a limit. 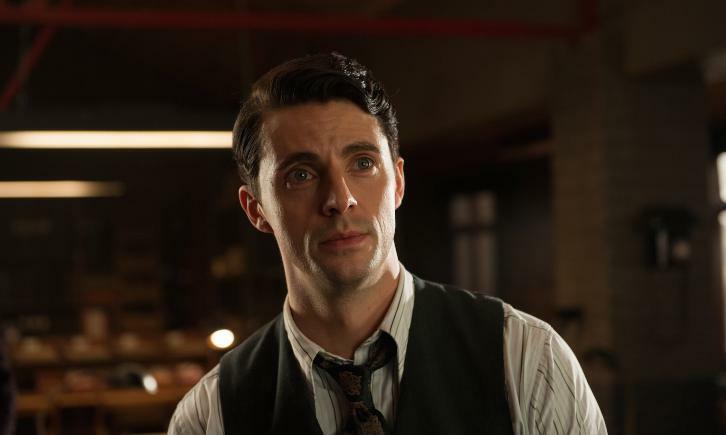 The acting is of course pretty good(e) , I mean the show is lead by Teresa Palmer and Matthew Goode who have crazy chemistry and it’s like these roles were written in the stars for them. For a pilot episode this was an okay attempt, I’d recommend this to the supernatural genre loves and those seeking escape and maybe romance cause I’m pretty sure that’s where the show is headed. I will keep watching till the end because the romantic gothic visuals are lovely and they drew in and I’m invested in the story now despite this episode’s short fallings like the weird editing that happens in act one which sorta forces act two and three to handle too much, too soon and the dialogue and scripting need work but yeah I’m invested.